Very pretty. Nice soft color tones. Nice purple flowers set against the green. I like the soothing pastel-ly colors on these. I don't think I've ever seen that flower before but it is beautiful! Love the color. No matter what's happening in my life, I can always count on you for bringing me joy on Wednesdays! is it a member of the violet family? its so sweet .. 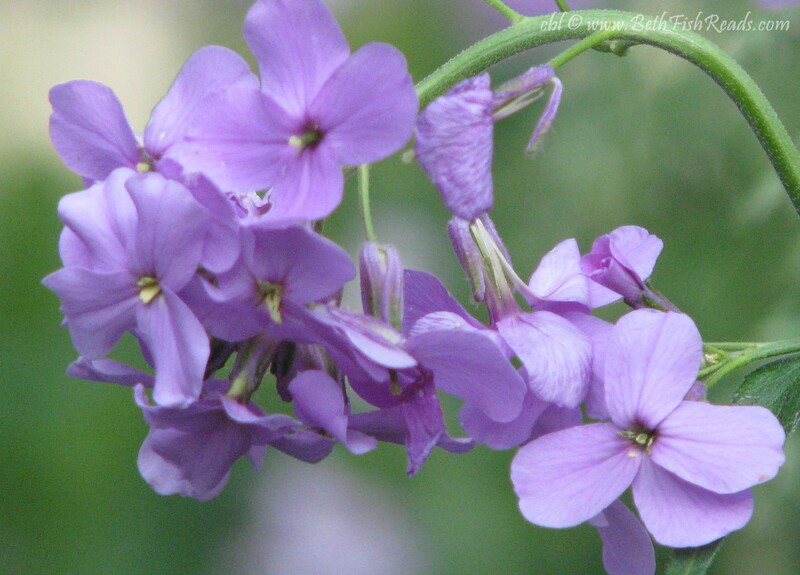 I am not familiar with Dame's Rocket, but they are beautiful. I'm a push-over for purple flowers. These are lovely, and one of my favorite color choices for flowers. This is a beautiful photo. Beautiful as always! I love the purples. I have a hard time with purples - they tend to look blue once my camera is done with them. I haven't heard of this plant -- but love that pretty color! So pretty. I love that shade of purple. Lovely shade of purple! I bet it smells good. I just love your photos. This one is beautiful. I love the way they seem like lovely ladies curtseying. What lovely blossoms for this WW post! «Louis» always appreciates your Wednesday visits! You have me imagining the river where I used to see such flowers all the time. I just love this shade of purple!